New! 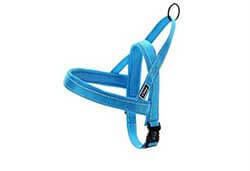 The 8 Second Dog Harness! Put it on in less time than it takes to put on a tight pair of pants & say goodbye to the harness struggle! Shipping Prices Are Increasing...get FREE shipping while we still offer it! Our free shipping offer has ended. Please try back again. 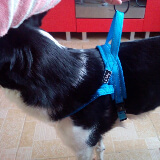 Quick Fitting Dog Harness Makes Dog Walking EASY! Can our harness really go on in 8 seconds or less? Check out our model putting it on in 8 seconds flat! Have you tried a lot of dog harnesses that didn’t work? Were they too hard to put on? Or maybe your dog just didn’t like wearing it? Introducing the the dog harness that goes on in 8 seconds or less. Once you’ve put the 8 second harness on your dog you’ll discover how easy it is to walk your dog finally. Why do dog owners feel like they’ve finally found a harness that they can use? Simple...because the 8 second harness is easy to put on. NO FUSS! You will not have a hard time putting the 8 second harness on! Some harnesses have 3, 4, 5 or more spots that you need to wrap all around your dog and click together and snap to put on. Some of them are so confusing looking that even when you put it on right you still aren’t sure if it’s on right or not. What are your dog walks like now? Do you dread getting out that clunky harness that you use now and messing with it for a few minutes just so you can take your dog for a walk? Do you spend a few minutes fussing with it (and putting it on wrong a few times) until you finally get it on and are ready to enjoy a walk with your best friend? By this time you and your dog are both frustrated and may not enjoy your time together as much as you could. If you are like we were then you may even avoid walking your dog as much as you’d like to (or need to) just because you don’t want to get frustrated with another type of harness. Now when it’s time to take your best friend for a walk you’ll feel confident that everything will be easy. The days of worrying about if you can figure out how to get the harness on the dog the right way are now over! Why do dogs love walking so much? Your dog doesn’t want to sit in the house all day and do nothing. He or she wants to get out in the fresh air and get some much needed exercise. An exercised dog is a happy dog! But what your dog doesn’t love is when a harness doesn’t fit them right or is so hard for you to put on them that it takes a long time. Your dog just wants to go and have fun...not sit and fuss with a complicated harness. Measuring your dog for a great fit is easy. Just take a standard tape measure and measure around your dog's chest at the widest part. 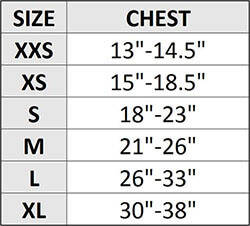 Example: If you measure your dogs chest and it is 17" then you would order an XS size according to the chart. *Please properly measure your dog before ordering* If you need any help choosing the best fit for your dog you can email us at help@doxinmotion.co or choose the size that will work best according to the sizing chart. 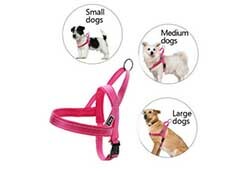 Quick Fit Harnesses are Adjustable! 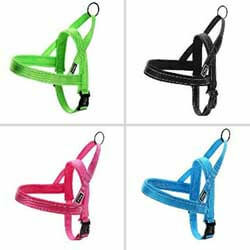 The quick fit harnesses are designed to be adjusted to fit your dog perfectly. If your measurement looks like it will be between, or close to 2 different sizes please double check to make sure your measurement is correct. Many harnesses are difficult to put on and measure for. For our harness you only need one single measurement, so make sure to take your time and measure correctly before ordering! Quick Fit Design, No Wasted Time! Harnesses can be complicated to put on, but not this one. The quick fit buckle goes on in a snap so you and your dogs can head outdoors without wasting any time on nonsense. 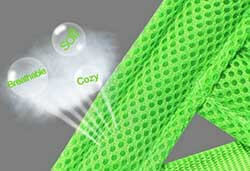 The inner padding that touches your dog has a cool mesh design. 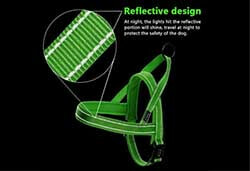 This allows air to flow between his/her skin and the harness, keeping your dog cool and comfy during your walks. I received the dog color for my dog today and I absolutely love it! So much easier to put it on her. I am thrilled with the promptness of your delivery as well. Just HAVE to tell you Thanks from the bottom of my heart! Harness arrived today and fits like it was made just for my Chiweenie! Now I need to find him a sweater or two. Its cold in Arkansas! 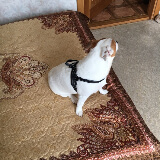 I have received the harness and I must tell you how pleased I am! The adjustable factor made it a perfect fit! I can see the quality in this harness! 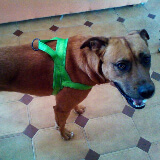 I have tried many styles of harness trying to get one to fit my dogs and this is the first one that works! 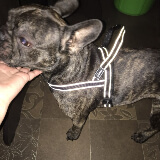 Thank you for making this harness. My two doxies say hooray! 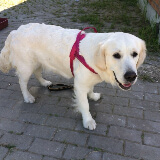 Harness very quality nice, is nicely ADJUSTED to DOG and is adjusted very easily. Gorgeous very nice product .. perfect .. thanks .. Excellent quality. product fits description. Try our quick fitting harness out for 30 days and if it doesn’t work for you, you’ll get your money back! Copyright © DoxinMotion. All rights reserved. 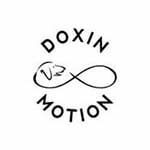 DoxinMotion.com is not part of the Facebook website or Facebook Inc. Additionally, this site is NOT endorsed by Facebook in any way. Facebook is a trademark of Facebook Inc.